ISBN: 9780596805029, published in conjunction with XML Press. 2.1. 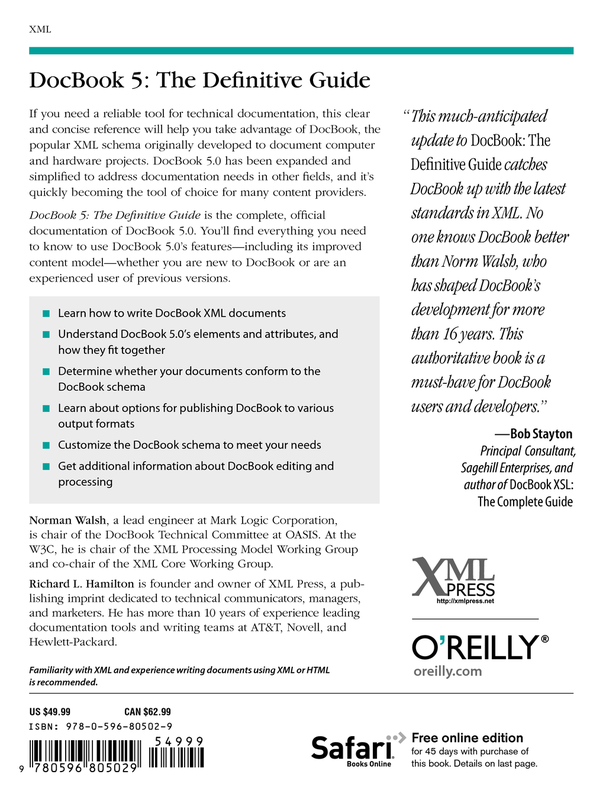 What’s New in DocBook V5.0? 5. Why Switch to DocBook V5.0? 1. Should You Do This? 2. 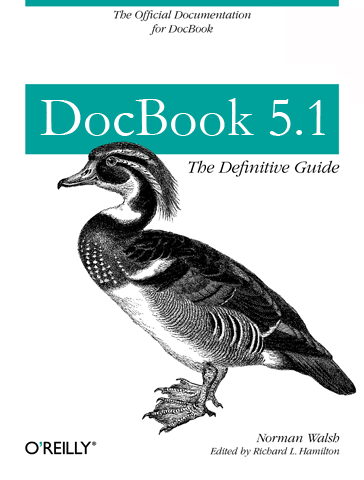 If You Change DocBook, It’s Not DocBook Anymore! errortext — An error message.